This is what James Clare tells me when I ask how his friends and family are taking the fact that he and his wife, Krisanne Rice, are planning to thru-hike the Pacific Northwest Trail this summer. “Our daughters think it’s pretty cool we are going. As for siblings and other relatives—they probably think we’re nuts.” Krisanne adds. 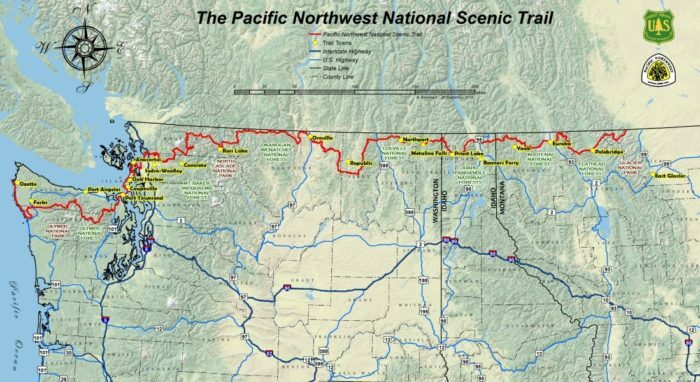 The Pacific Northwest Trail (PNT) is 1,200 miles spanning the Continental Divide to the Pacific Ocean. It traverses three states: Montana, Idaho, and Washington and will take Krisanne and Jim 60-70 days to complete at an average of 15 miles per day. 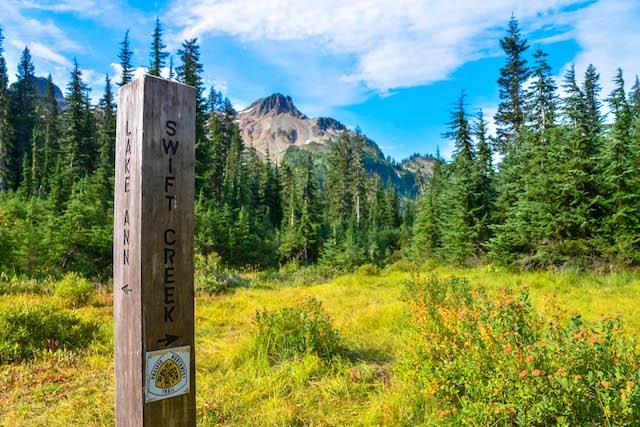 They’re beginning at the Makkah Reservation in Washington at the Far North Coast area of Olympic National Park, and ending at the northeast corner of Glacier National Park at the Continental Divide at Chief Mountain Customs. This trail ranks among one of the most scenic in the world, really putting the lust in wanderlust. 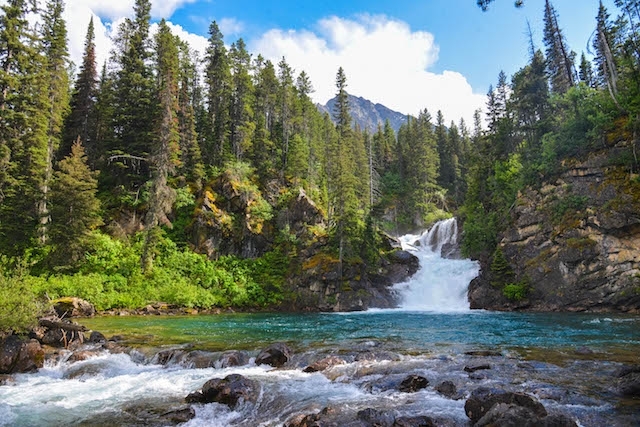 It passes through three National Parks: Glacier, North Cascades, and Olympic as well as seven National Forests: Flathead, Idaho Panhandle, Colville, Okanogan, Mt. Baker- Snoqualmie, Kootenai and Olympic. Krisanne has also sectioned hiked the Long Trail in Vermont and the Appalachian Trail from Maine to the MA/VT border after high school. After 40 years of living in Alaska, Jim’s no stranger to the outdoors either and has avidly backpacked for 4-5 days at a time. The couple has been married for 24 years and since 1993 and have called Sitka, Alaska home. But neither of them have done something quite like this before. With 24 years of marriage behind them, Krisanne reflects on what this hike would add to their relationship. The couple began their hike in late June, and believes they are the only hikers going west to east this season. By hiking east, the Rockies should be free from snow and their younger daughter may be able to join them for their last few days in Glacier National Park. As for their diet? Krisanne has “dried cooked quinoa, home made kale pesto, veggies and chives from the garden, potato soup and lentil curry stew. I’ve also dried some local halibut and salmon that we’ll use during the first half. And of course, we’ll take every advantage of local fare!” They’ll also be field testing some freeze dried food from Cindy McSurely, a AT trail mom who’s daughter hiked in 2016. The Trek wishes them the best of luck! I think I’ve just added the PNT to my list! Hope all is well with Krisanne and Jim’s hike.